A morning I'll never forget!!! Congrats Guru! 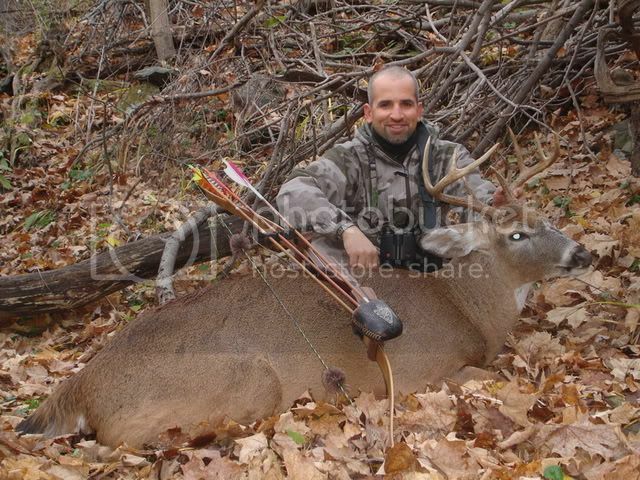 The buck looks pretty heavy, did you weigh him? As for the coyote,,they are one critter that I love to get with a bow, it don't happen very often but it's quite an accomplishment when it happens. I missed a coyote the first weekend of our season,I was hunting from the ground with a ghillie suit, I'm really starting to beleive in the effectiveness of the ghilliesuit. Congrats again on both trophies, your having a great season! "Good Luck" & "Shoot Straight!" 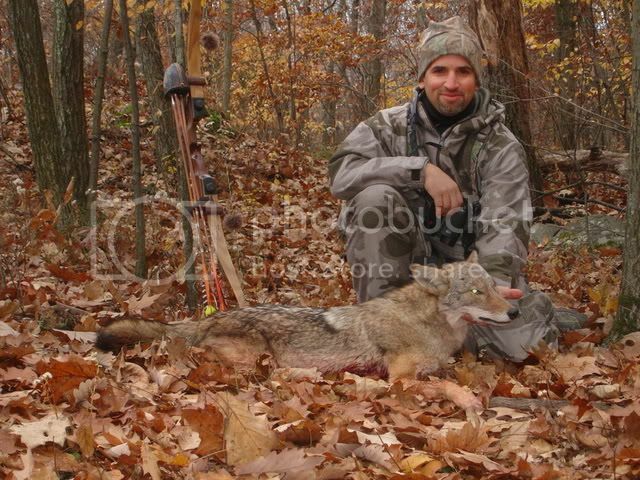 Man Guru I'd have loved to seen you take that 4 yard shot, and that Coyote is beautiful. Congrats again Bud. way to go Curt. Boy have you had a fantastic year!